Reinaldo Ferreira (1897-1935) was the most famous Portuguese journalist ever. He specialized in crime reporting and in writing all types of sensational articles. He also penned texts on facts that he had not witnessed and places that he had not visited. He wrote many of his texts under the pen name ‘Reporter X’, which was also the name of the cinema production company he headed in 1927, and for which he wrote and directed four films. Perhaps his imaginative instincts enabled him to use a real-life story as a point of departure for his film O TÁXI Nº 9297. Reinaldo knew how to turn journalism into narrative and reportage into fiction. His creativity crossed over from the newsroom and was vividly on display in the novella, the theater play, the serial, and, finally, the cinema screen. O TÁXI Nº 9297 was inspired by the European and American mystery serials; the film dramatizes a case that shook the country and which Ferreira had investigated in several reports: the murder of the actress Maria Alves by her manager Augusto Gomes. The plot is constructed as pure crime fiction. The unfolding events are craftily assembled by Renaldo’s directorial hand into a thread of false leads, creating a mounting sense of suspense as to identifying the murderer. Reinaldo weaves the convoluted plot and mistaken identities around hallways and doors that open and close into them. He builds a mise-en-scene around obscurity and indistinctness, often choosing a shot scale that is either too close or too distant. From afar, one is not able to make out the identity underneath the disguise, and up close we see the disguise, but not the identity. One of the film’s motifs stands out for its visual force: hands. In this, a wide range of meanings and possibilities is suggested, given that they are signs without a clear referent, in which markers of gender and social class and ethnicity are indistinct – enabling the director to wreak visual havoc. Reinaldo also sprinkles the plot with a generous dose of suspenseful details: the white-gloved hand hanging out of the cab window, early on; the handgun that creeps ominously forward from between the curtains; the exciting game of pickpocket in the dark; the rope ladder tossed into Eva’s room; the note slipped under the door; and the feet of the mysterious figure that walks down the hall after dark. Enhancing the atmosphere, Maurice Laumann’s cinematography is luminous and sharp, and set designer Pedro Santos creates a fake Lisbon in the middle of Porto, where the film was shot on location and in the studio. As a complement, this edition includes the comic short film RITA OR RITO? 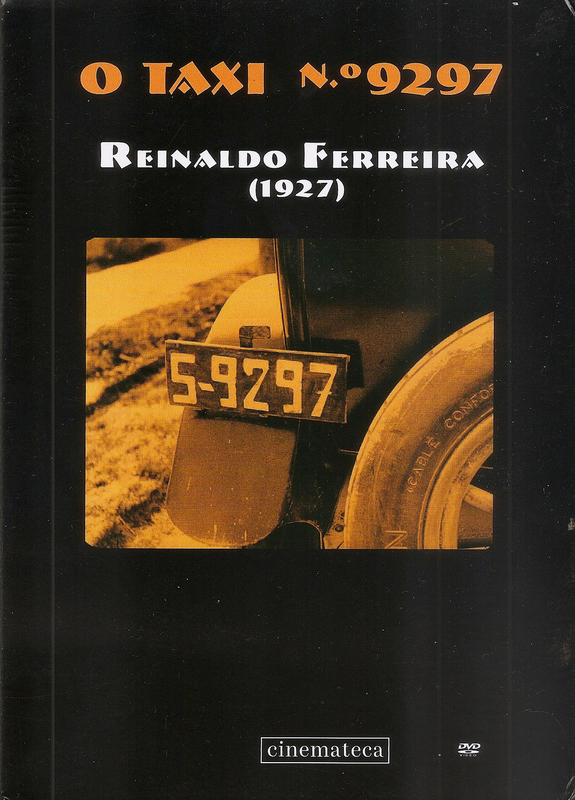 ...(1927), also directed by Reinaldo Ferreira, and the audiovisual essay OS MOTIVOS DE REINALDO, by Ricardo Vieira Lisboa, about the visual gestures present in his films, as well as a 62 page illustrated booklet with texts in Portuguese and English and English. All the films have piano accompaniments composed and interpreted by Filipe Raposo expressly for this DVD edition. Cast: Maria Emilia Castelo Branco, Alves da Costa, Alexandre Amores, Alberto Miranda, Manuel Silva, Antónia de Sousa. Cast: Alves da Costa, Fernanda de Sousa, Antónia da Sousa, Alberto Miranda, Manuel Silva.